Grab yourself one of these super festive clutch bags before Mrs Claus buys us out. This ulti.. The world outside may be frightful, but these shoes are so delightful! Wrapped in red glitter, Nicel..
Christmas is coming!... 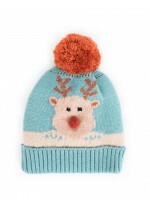 From 'Powder' accessories, the Cosy Rudolph pom pom hat. 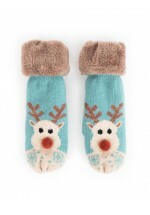 Comes with compleme..
Christmas is on its way, and from 'Powder' accessories, here's some Cosy Rudolph Mittens. F..